You might expect people who specialize in moral philosophy to behave better than other people. Eric Schwitzgebel has done some empirical investigation of whether this is the case, and it doesn't seem to be. What does that show about ethics? Philosophy Bites investigates. You think you know what's best but don't do it. We've all been there. For Plato and Aristotle this weakness of will presented a philosophical problem. Jessica Moss explains their contrasting approaches to this topic in this episode of the Philosophy Bites podcast. Must humour be moral? What about jokes that rely on immoral attitudes? Can they be funny? Are humour and morality simply separate spheres. Noel Carroll explores the relationship between humour and morality in this episode of the Philosophy Bites podcast. Can computers think? John Searle famously used the Chinese Room thought experiment to suggest that they can't. Daniel Dennett is suspicious about the way the thought experiment is set up. In this conversation with Nigel Warburton for the Philosophy Bites podcast he explains why. 'How should we live?' is a basic philosophical question. In this episode of the Philosophy Bites podcast Dale Jamieson addresses the question in a period when human beings are having devastating effects on the environment. Which virtues should we cultivate in these conditions? Most philosophers today self-identify as within an Analytic or a Continental tradition. Where did these two cultures of philosophy come from? What role does Continental Philosophy play for Analytic Philosophy? Simon Glendinning investigates these questions in conversation with Nigel Warburton in this episode of the Philosophy Bites podcast. Genocide is, at first glance, a straightforward term. We understand what it is and why it is such an evil. But, as Chandran Kukathas of the London School of Economics argues in this episode of the Philosophy Bites podcast, perhaps the received definition of this term needs refinement. Don Cupitt, a controversial theologian and philosopher, whose BBC television series and book The Sea of Faith was extremely influential, giving birth to a theological movement, believes that most religion is too anthropomorphic. In this interview for the Philosophy Bites podcast he explains his non-realist approach to God. Tolerance is usually thought of as the great virtue of democratic societies. Wendy Brown of UC Berkeley asks some sceptical questions about the concept of tolerance and how it can be used to express power relationships in this interview for Philosophy Bites. Political representation in a democracy doesn't necessarily reflect the variety of people within a society. Most noticeably, there is a much lower percentage of women acting as representatives than there is in the wider population. Does this matter? Anne Phillips believes it does. She explains why in this episode of the Philosophy Bites podcast. Immanuel Kant's Critique of Pure Reason is a notoriously difficult work. In this interview for Philosophy Bites A.W. Moore of Oxford University gives a succinct account of this complex and influential attempt to clarify the limits of human understanding. Philosophers of mind have traditionally introspected sitting alone in their rooms. Now new developments in neuroscience are producing surprising results, some of which are relevant to philosophy. Phenomena such as blind sight and mirror neurones suggest that we would be foolish to decide what is possible a priori. Barry C. Smith gives an insight in to this intriguing area in this episode of Philosophy Bites. Friedrich Nietzsche's ideas about art and truth run through much of his philosophical writing, but are most apparent in his first book, The Birth of Tragedy. In this episode of Philosophy Bites Nigel Warburton interviews Aaron Ridley about this topic. Soren Kierkegaard's Fear and Trembling retells and interprets the story of Abraham and Isaac. In Kierkegaard's hands the story becomes a model for the human predicament. In this episode of the Philosophy Bites podcast Clare Carlisle provides an interesting overview of some of Kierkegaard's themes in this book. How do we weigh lives one against another? Governments frequently have to make life and death decisions that take in to account such issues as the quality of life compared to the length of a life. In this episode of Philosophy Bites John Broome presents his view of how such decisions should be taken. Should minority groups such as recent immigrants or those who have suffered historic injustice be given rights that other citizens don't have? Will Kymlicka believes they should. Listen to his arguments in defence of this position in this episode of Philosophy Bites. Friedrich Hayek was a major figure in Twentieth Century economics and political philosophy, but his ideas are sometimes caricatured, not least because Margaret Thatcher approved of his work. Chandran Kukathas explains the key features of his liberalism in this episode of Philosophy Bites. Are men and women different by nature? And if so, what follows? Janet Radcliffe Richards, author of The Sceptical Feminist and Human Nature After Darwin, examines questions about human nature, focusing on John Stuart Mill's important book The Subjection of Women. David Edmonds is the interviewer for this episode of Philosophy Bites. Is it possible to be a citizen of the world while maintaining your own distinctive identity? Anthony Appiah defends the ethical position he dubs cosmopolitanism (which for him is universalism combined with a recognition and celebration of diversity) in conversation with Nigel Warburton in this episode of Philosophy Bites. The eighteenth century thinker and politician Edmund Burke was one of the founders of modern conservativism. In his Reflections on the Revolution in France he attacked the revolution. For this episode of Philosophy Bites Richard Bourke of Queen Mary, London, puts Edmund Burke in his historical context and outlines his key ideas. What causes human agression? For Plato's Socrates it comes from innate tendencies nurtured in the wrong way. And that's where war comes from. Angie Hobbs gives a fascinating introduction to this aspect of Plato's Republic in this episode of Philosophy Bites. Ludwig Wittgenstein was one of the great figures of Twentieth Century Philosophy. Part of his originality lay in his view of what Philosophy was and how it ought to be done. For this episode of Philosophy Bites Barry Smith of Birkbeck College London gives a lucid account of Wittgenstein's conception of Philosophy. Philosophy Bites is made in association with the Institute of Philosophy (www.philosophy.sas.ac.uk). Can differences in income be morally justified? Should we expect rich people to give their money to the poor? G.A. Cohen, author of a book with the provocative title If You're An Egalitarian, How Come You're So Rich? addresses these questions in this episode of Philosophy Bites. Philosophers often use elaborate thought experiments in their writing. Are these anything more than rhetorical flourishes? Or do they reveal important aspects of the questions under discussion. 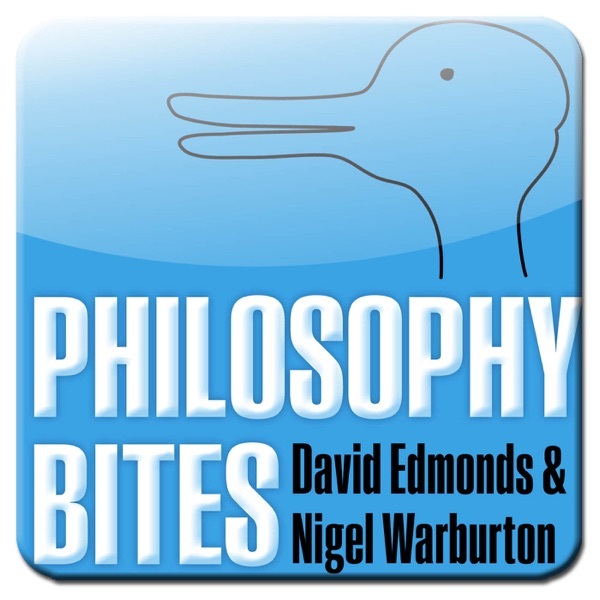 Julian Baggini, editor of The Philosophers' Magazine and author of a book which surveys some of the most interesting and imaginative thought experiments philosophers have used discusses thought experiments with Nigel Warburton for this episode of Philosophy Bites. David Edmonds introduces the interview. What are the passions and what role do they play in human life? These fundamental questions fascinated Baruch de Spinoza who in his book Ethics gave a highly original account of what it is to be human. In this episode of Philosophy Bites, Susan James explains Spinoza's thought in conversation with Nigel Warburton. David Edmonds introduces the discussion. Philosopher Timothy Williamson explains how we can make sense of such vague concepts as 'heap' or 'red' or 'bald' in the process outlining his own solution to what are usually known as Sorites Paradoxes. Williamson gives a precise account of what 'vagueness' means, how it differs from ambiguity, and why this matters. Are all our thoughts simply physical events in our bodies? Can we give a purely physical account of the conscious human mind? David Papineau believes that we can. In this interview for Philosophy Bites he explains what physicalism is, why he believes it to be true, and how it can be defended against a range of criticisms.